The CISSP certification training in Melbourne is considered the gold standard in the field of information security. This course is aligned with (ISC)² CBK 2018 requirements and will train you to become an information assurance professional who defines all aspects of IT security, including architecture, design, management and controls. Most IT security positions require or prefer a CISSP certification, so get started with your CISSP training in Melbourne today. Simplilearn’s CISSP certification training in Melbourne is aligned to the (ISC)² CBK 2018 requirements. The course trains you in the industry’s latest best practices, which will help you pass the exam in the first attempt. The certification helps you develop expertise in defining the architecture and in designing, building, and maintaining a secure business environment for your organization using globally approved Information Security standards. With unprecedented security breaches now being reported, the demand for IT security professionals has never been higher. Frost and Sullivan report that there will be a shortage of 1.5 million security professionals by 2020. What skills will you learn from CISSP certification training in Melbourne? 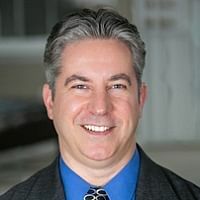 Who should take the CISSP certification course in Melbourne? What types of jobs can benefit from a CISSP certification in Melbourne? What are the career benefits of the CISSP Certification in Melbourne? How do I become a CISSP certified professional in Melbourne? 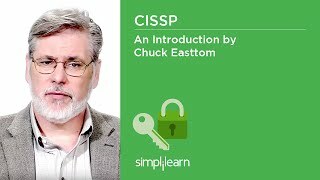 You must pass the CISSP exam to become certified. The CISSP exam is a computer-based test (CBT) administered at Pearson VUE Testing centres in Melbourne. What are the prerequisites for CISSP certification in Melbourne? This CISSP certification training in Melbourne is intended for professionals who want to acquire the credibility and mobility to advance within their current Information Security careers. To claim the CISSP certificate from ISC2 it is mandatory that you have at least 5 years of recent full-time professional work experience in 2 or more of the 8 domains of the CISSP – CBK 2018. In the case that you do not yet have the required 5 years of experience you will be awarded an ISC2 associate title which will be replaced with the CISSP certificate after you gain and submit proof of your experience. Attend one complete batch of CISSP certification training in Melbourne. What is the passing score for CISSP Certification exam in Melbourne? The passing score for the CISSP Certification exam in Melbourne is 700. How long is the CISSP Certification valid in Melbourne? CISSP Certification in Melbourne is valid for three years. All our CISSP trainings in Melbourne are conducted by highly-qualified trainers and are CISSP certified with more than 16 years of experience working in the domain. What certification will I receive after completing the CISSP training in Melbourne? After the successful completion of the CISSP training in Melbourne, you will be awarded the course completion certificate along with the 32 hours CPE's certificate from Simplilearn. What else will I receive as part of the CISSP training in Melbourne? Melbourne is considered the cultural capital of Australia. Melbourne has witnessed significant growth in population and employment simultaneously over the years. The growing employment sector is a result of varied industries including the finance and aviation sectors. Companies in Melbourne include Telstra, Coles and the National Australia Bank. Skilled professionals are in demand and have plenty of opportunities to grow here. Considered the gold standard in the IT security field, CISSP is designed to train people in the field of information assurance. In this course, professionals will learn to define all aspects of IT security. Aligned to the (ISC)² CBK 2015 requirements, this course is extensive and result-driven. Professionals who take this course will be able to identify weak spots in IT infrastructure and mend them before an attack. Certified security specialists have the potential to earn up to $110,000 a year and are in demand globally. If you’re seeking a CISSP certification training in Melbourne, Simplilearn’s blended learning delivery model combines the convenience of self-paced online training with the personal motivation of live virtual classroom instruction, the reinforcement of relevant practical projects and the support of 24/7 live teaching assistants. Our CISSP course in Melbourne is crafted by experts to help you prepare for and pass the CISSP certification exam in your first attempt. This training program provides hands-on experience and gets you ready for information security roles in the industry. Simplilearn understands that a CISSP Certification training in Melbourne is not just a milestone but the start of your journey on the path of continuous improvement. Make the most of your current or future information security career with an intensive training course for CISSP certification in Melbourne from Simplilearn.